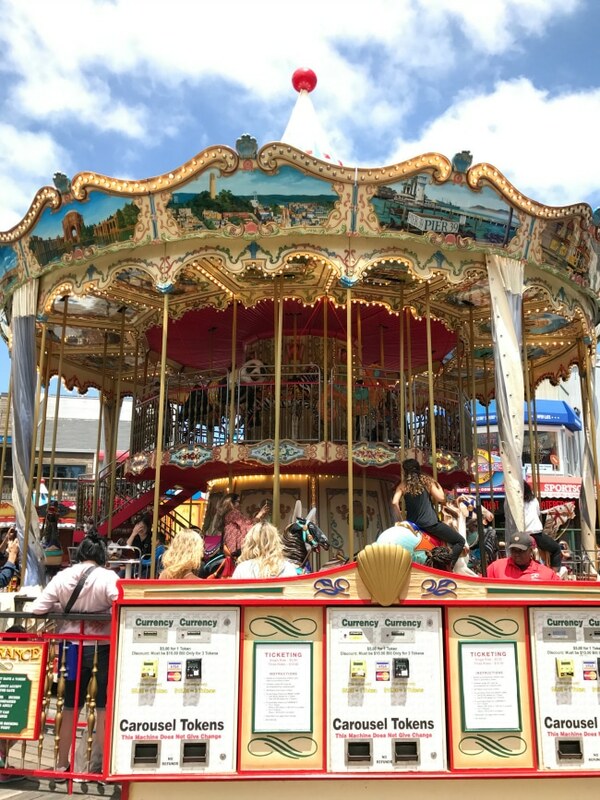 In June, we hopped in our rental car, Danetta in what she lovingly referred to as “the baby seat” because it sat a full 6 inches lower than Amber’s chair (the driver’s seat), and we hit the road from San Jose airport to San Francisco, where we had a 3 day girl’s trip awaiting. Of course, Danetta had never been to San Francisco and it had been over 15 years for Amber, so hitting those super hilly streets, at rush hour in a city we weren’t familiar with made for just a little bit of screaming, laughing, confusion and ultimately, fun. We had no idea what to expect other than what people told us ahead of time and what Amber’s faded memories still held, but we were ready for a good time and new experiences. 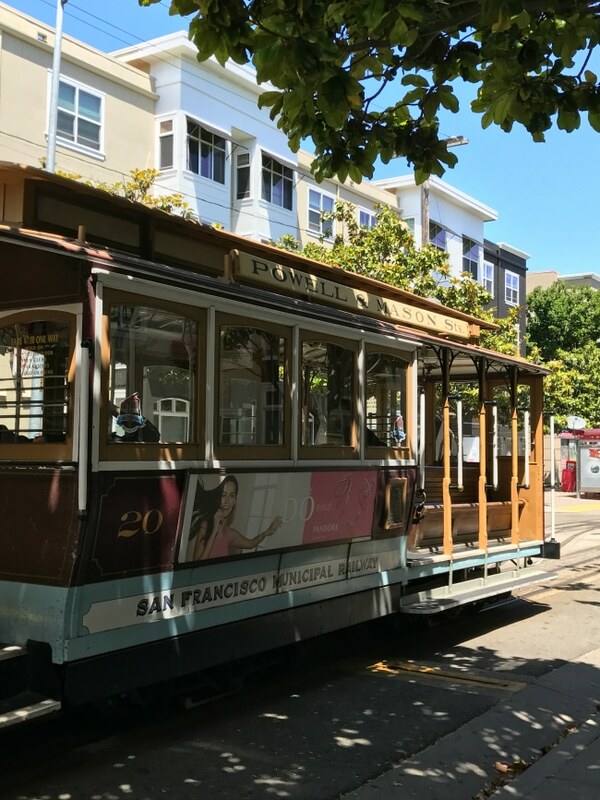 And, now that we’ve been there, scoped the place out and know it just a little bit better, we are ready to share some ideas of what to do in San Francisco with you. 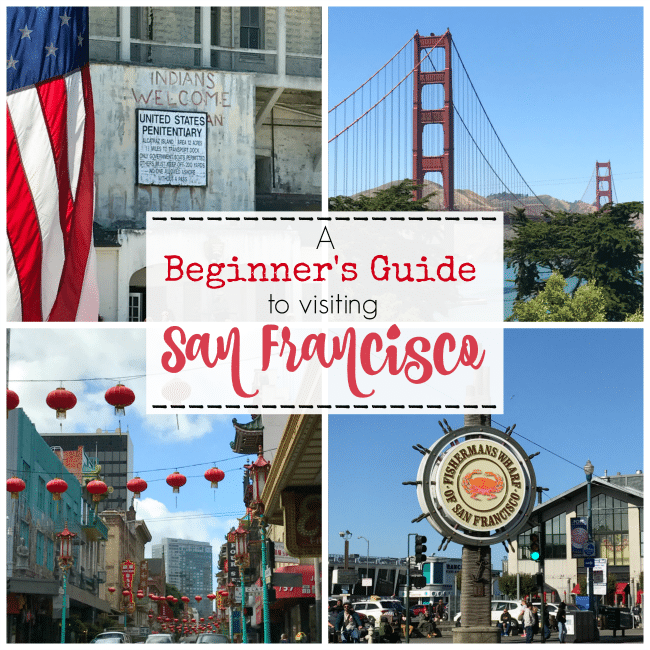 So if you’re a beginner heading out to the Bay Area, we’ve got a beginner’s guide to visiting San Francisco ready for you! 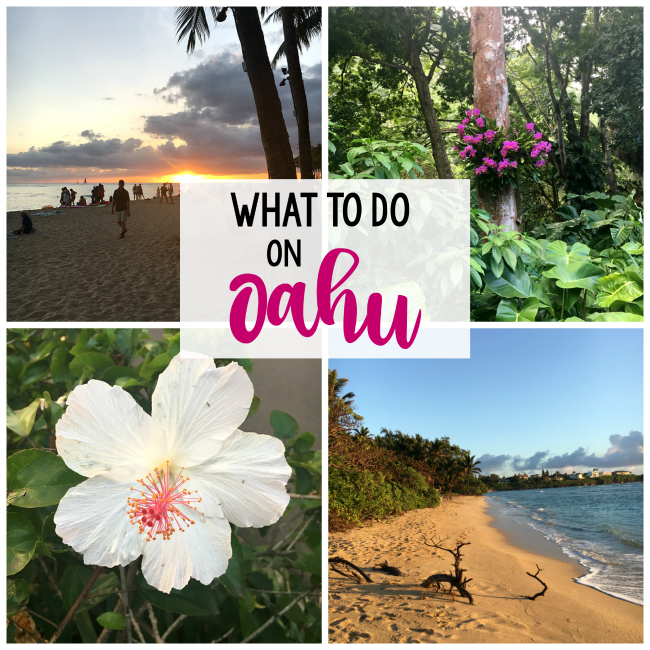 Here’s the low down on our trip, where we visited, what we learned, things we would recommend and not recommend and everything we can think of to share with you to help your trip be great! Let’s start out by talking about the obvious, the icon for the city, The Golden Gate Bridge. 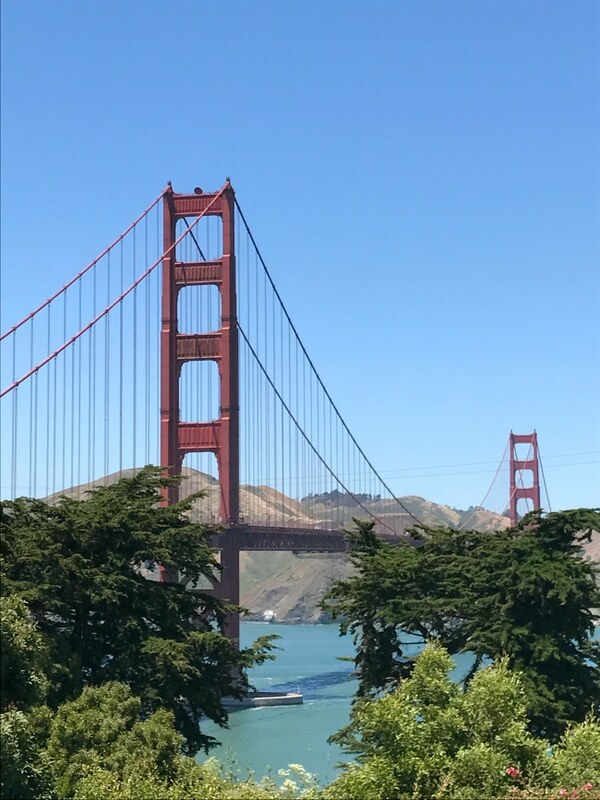 We didn’t realize prior to this trip that the bridge is more than just a way to get from the South end of the bay to the North (which we did at one point by car), it’s a destination and an experience itself. We parked at the South end of the bridge and walked from one end of the bridge to the other and back. It’s about 3 miles round trip and it turns out, this was a huge highlight of the trip for us. Amber was a little nervous to cross it on foot (heights!!! ), but it was ok (other than a tense moment when she timidly stepped to the edge to peer over and Danetta, spotting whales below, excitedly grabbed her arm and freaked her out! ), so if you are worried about that, you should be fine. And, the whales! We didn’t expect to see whales (hence Danetta’s excited reaction), but we could see a whole group of whales coming in and out of the water below us as we walked. Unexpected and added a lot to the experience. Some people biked the bridge-you can rent bikes near the bridge or at Fisherman’s Wharf and ride to the bridge. We considered this possibility, but ultimately we were glad we walked. The bridge was crowded and the bikers seemed to struggle to even be able to ride with all of the people walking around. Plan an hour or two for this experience (or less if you don’t want to walk the whole bridge). 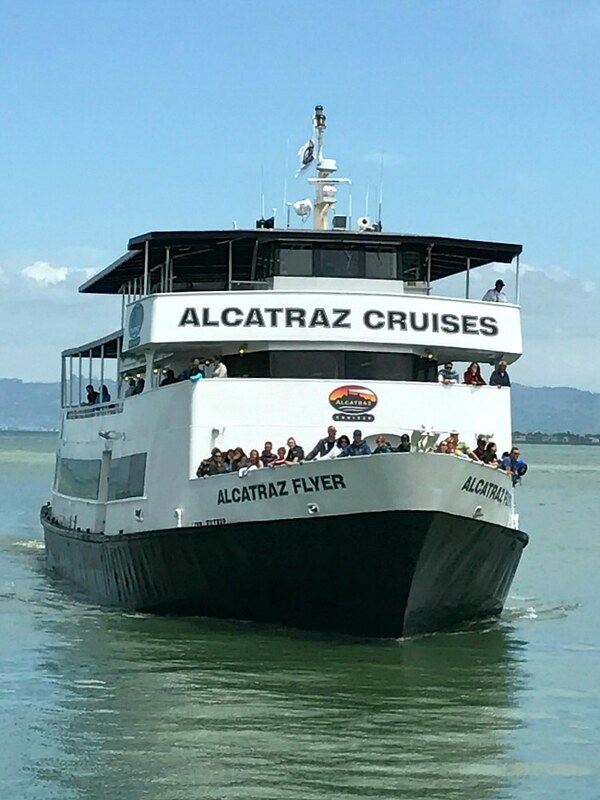 Another of San Francisco’s iconic tourist spots, we took the ferry to Alcatraz and toured the island and prison there. This was a surprisingly enjoyable experience! We knew we’d be interested and since it’s part of every good tourist’s visit to San Francisco we had to do it, but this ended up being another highlight of the trip for us. And to be honest, the 20 minute ride on the ferry each way was a nice chance to sit down and relax after walking all over the city! You need to book tickets in advance. It’s easy and we had lots of time slots available when we booked (only a week or two before our trip), but the earlier you get tickets the better so that you can be sure you get to do this. It’s about $40 for adults and $20 for kids. When you get to the island, after a brief explanation from a park ranger, you’ll be free to explore. 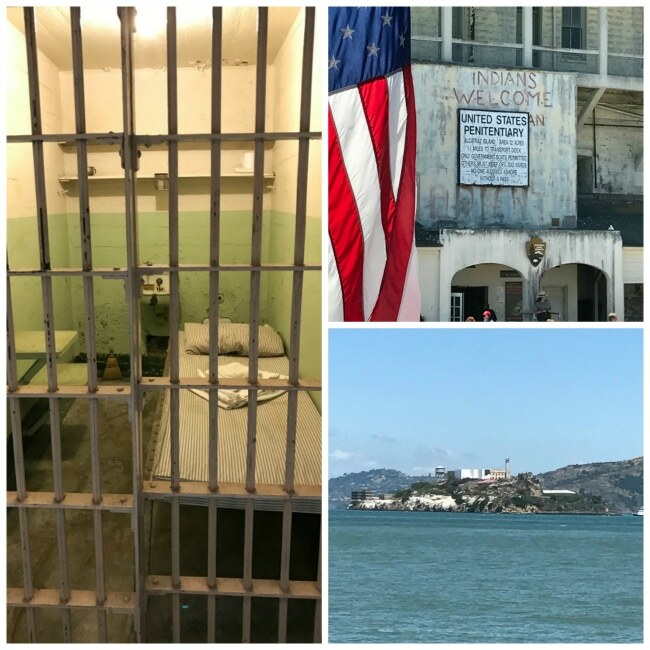 There are plenty of places to visit on the island like the guard’s quarters, but we headed straight to the actual prison and did the tour there. They’ll give you a headset and you take an audio guided tour that lasts close to an hour. It was fast moving enough to keep our interest but not too intense that we couldn’t stop and look and take it all in. It’s amazing to see this place and to hear from actual guards and inmates on the audio tour. This is probably the place in San Francisco that caught us most off guard. We knew we wanted to visit, but we didn’t know what to expect. 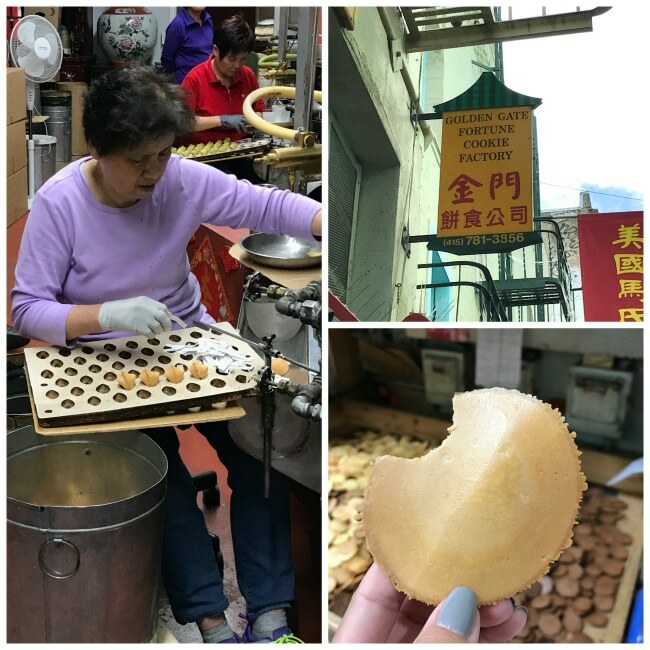 First of all, you should know that we walked to Chinatown from Pier 39 area and it wasn’t bad at all. It took us maybe 15 minutes or so, and while it is hilly, it wasn’t a bad walk. We headed straight for the Golden Gate Bakery, because we’d been told it was THE place to go. We heard go early or they will sell out. We were told to know what you want when you get to the counter, they don’t mess around. We were ready! But it was gated shut and there was a sign that said “On Vacation.” What?! We were so sad. And you know what? 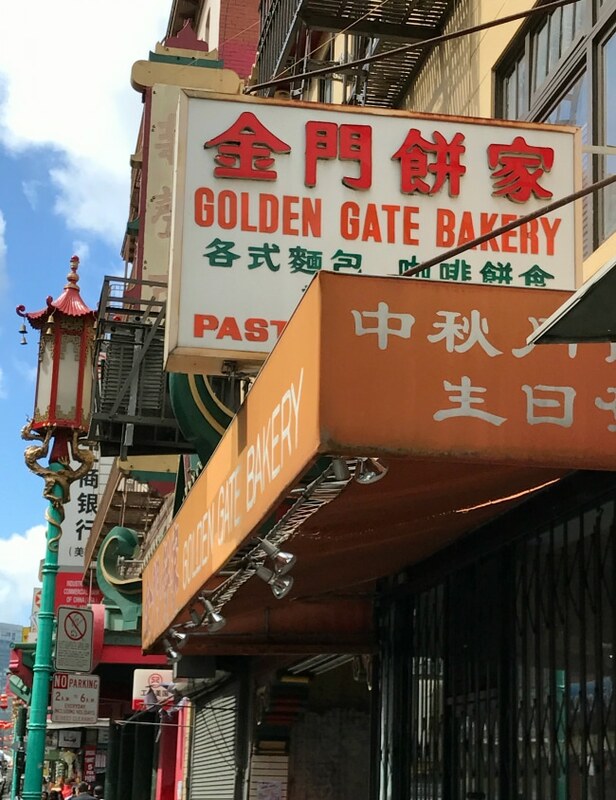 While we stood there feeling sad, another big group walked up with determined faces, set on visiting the Golden Gate Bakery, only to be as devastated as we were when they found it closed. We can only assume this means that it’s worth visiting and that it will be open when you go! Let us know how it is. 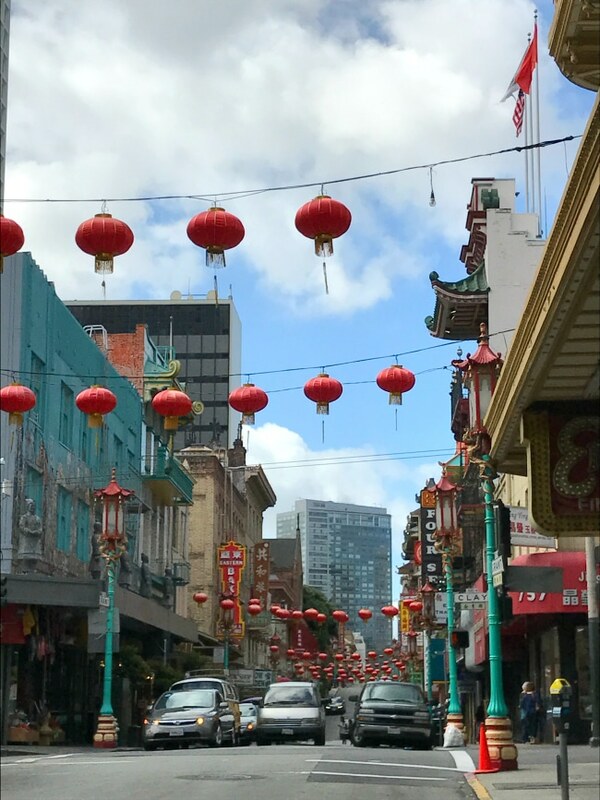 We wandered Chinatown a little bit. You’ll find a lot of shops to wander in and out of with cheap T-shirts, magnets, postcards and other souvenirs. You’ll also find a bunch of food markets. We had lunch in Chinatown at Hunan Home’s, and for people who haven’t done a lot of traveling outside the US, this was quite an experience for us! A good one, but definitely one that took us outside our comfort zone. When we walked in and they seated us, it was at a table with other people! Never had that happen before. When they gave us the menu, it was in Chinese! (Yes, this might sound naive to those who have traveled a lot, it was new to us.) 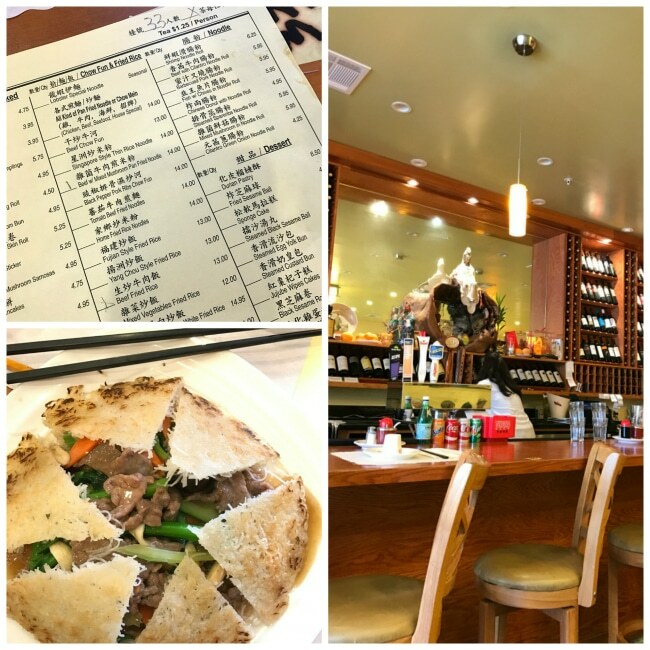 We picked a couple of things off the menu that seemed vaguely familiar (they had English translations of the title below each item) like Potstickers and fried rice and got a beef dish that was different than anything we’ve had, but yummy! 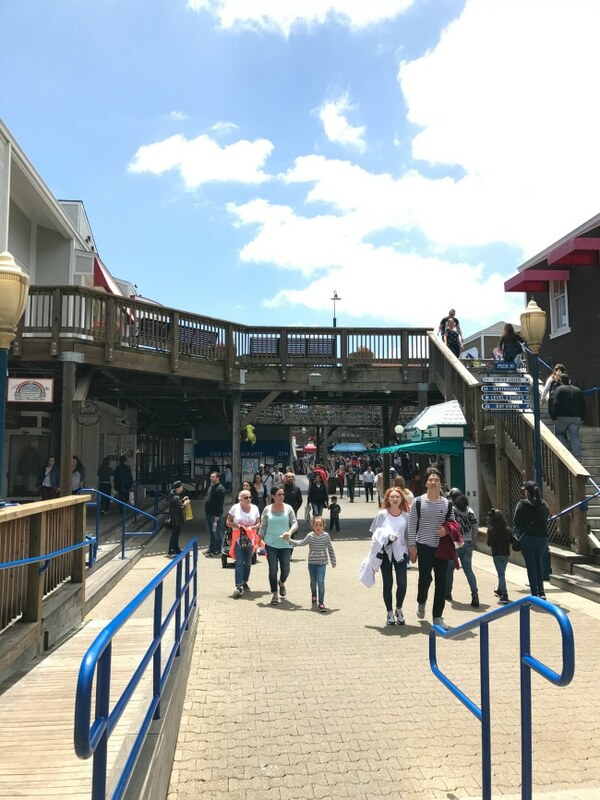 Of course you’ve heard of Pier 39, it’s sort of the center of San Francisco tourism. But do you know what to expect when you get there? It’s basically an outdoor mall that juts out on a Pier into the ocean. They’ve got lots of shopping and lots of food. 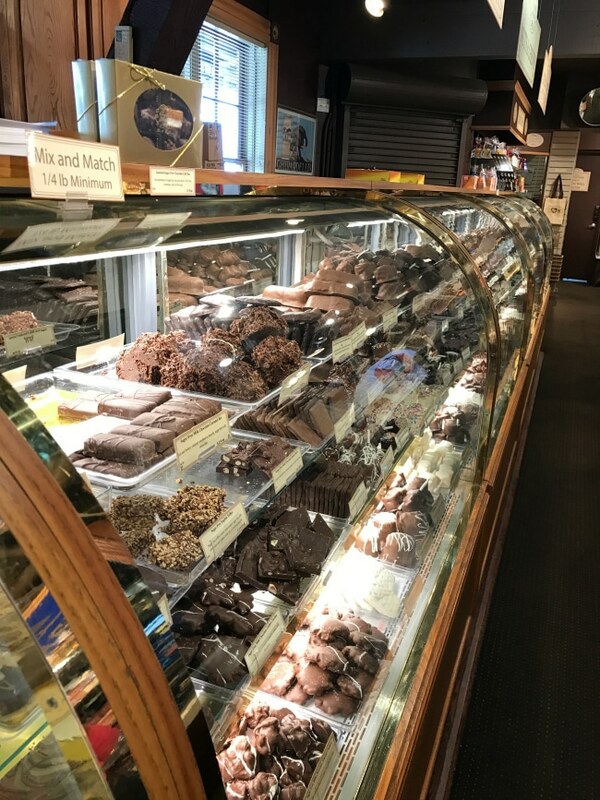 Rows and rows of chocolates of all varieties. 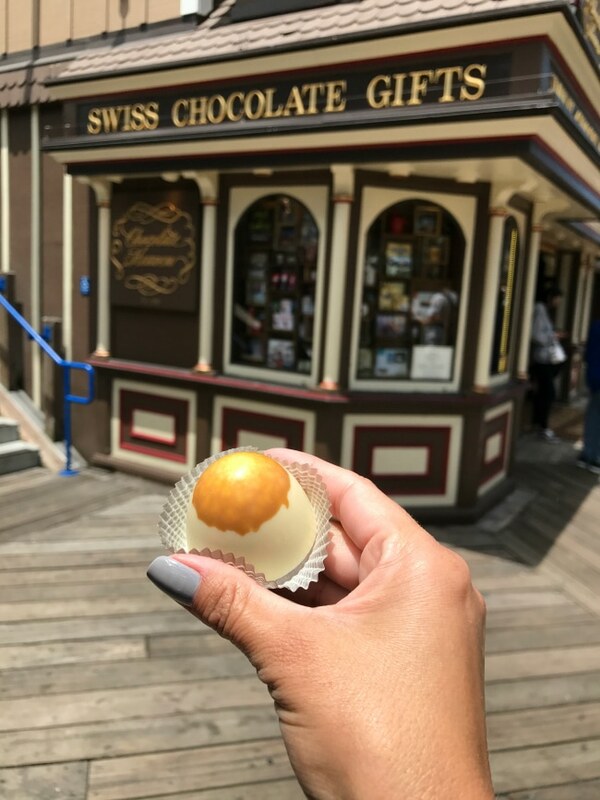 Toffee, truffles, chocolate dipped everything. 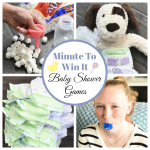 We each tried something and we weren’t disappointed. If you’re there for longer than we were, there are a lot of other great places to try. 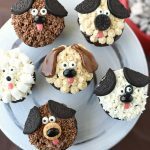 There’s a cupcake store and a candy store, crepes and cookies and ice cream and donuts….Too many good foods, too little time! We also ate at a Wipeout Bar and Grill and had a great lunch. They’ve got lots of seafood and a Hard Rock Cafe. No shortage of food! 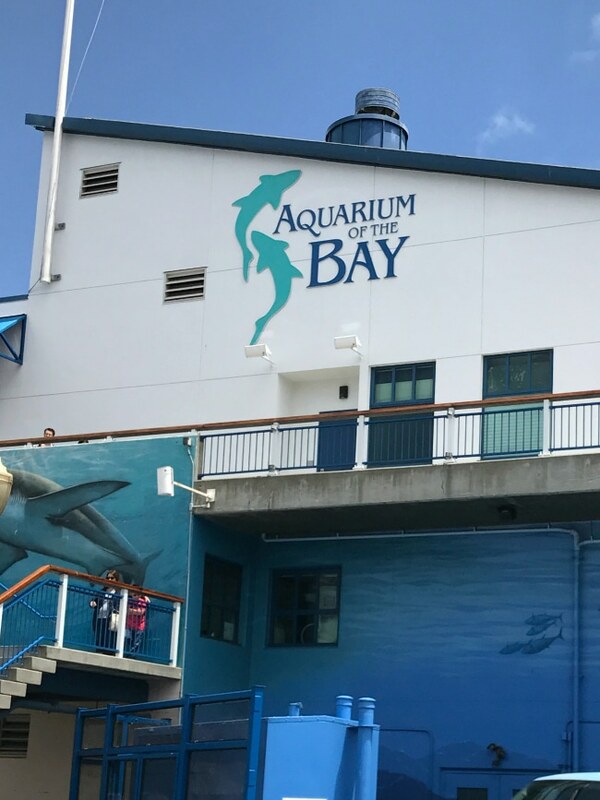 If you’re looking for more to do, there’s an aquarium and also, on the Northwest side of the Pier you can see seals and sea lions. Other than the food, there’s a submarine that you can pay to tour and there are a lot of street performers. Nearby you can hop on a trolley and ride around the city. We went too late in the day and found the line too long, so if you want to ride this, try the morning time. It cost something like $15-20 a day for rides on this. 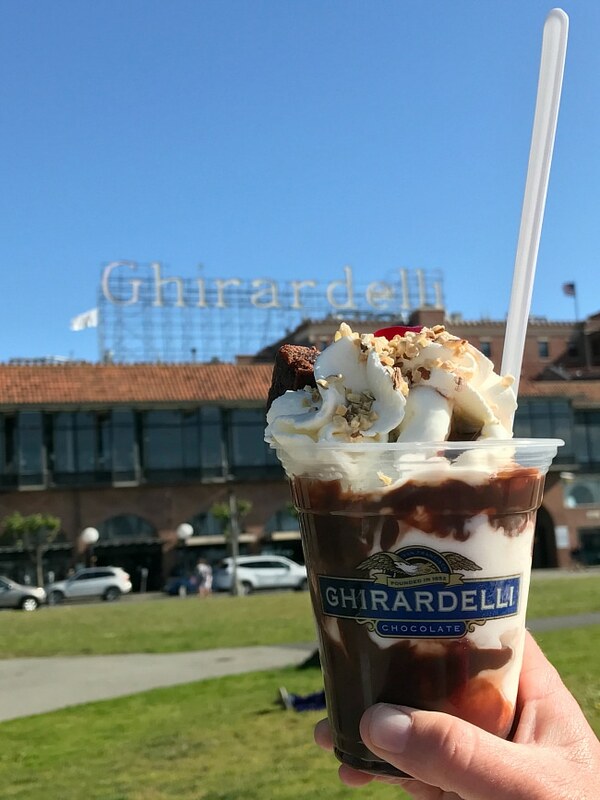 As major chocolate lovers, we knew a trip to Ghirardelli Square was solidly on our itinerary. 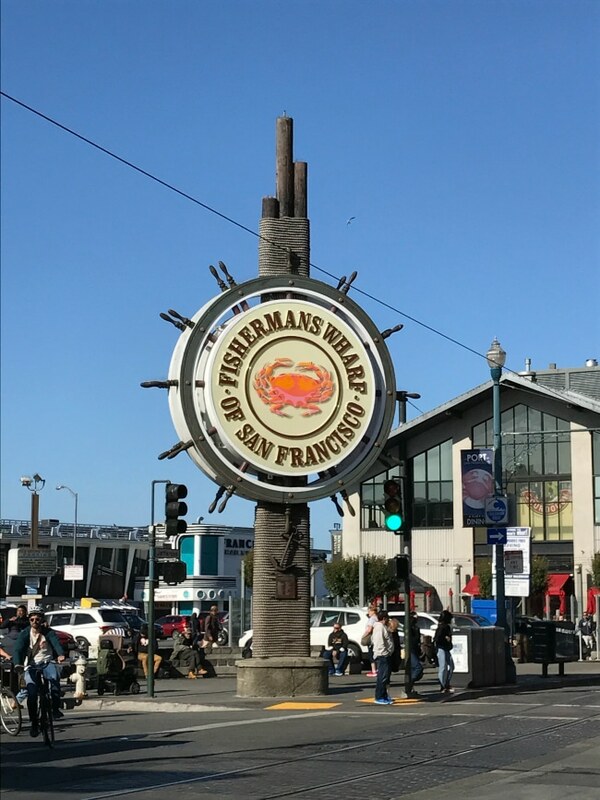 It’s a bit of a walk from Fisherman’s Wharf-not too far, maybe 10 minutes-but it’s a beautiful area when you get there. 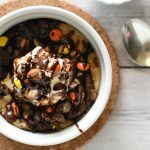 We expected a great big chocolately store and were surprised to find just a small little ice cream shop, but since we’d gone all the way there AND planned our eating that day around being hungry enough to eat there, we bought ice cream! 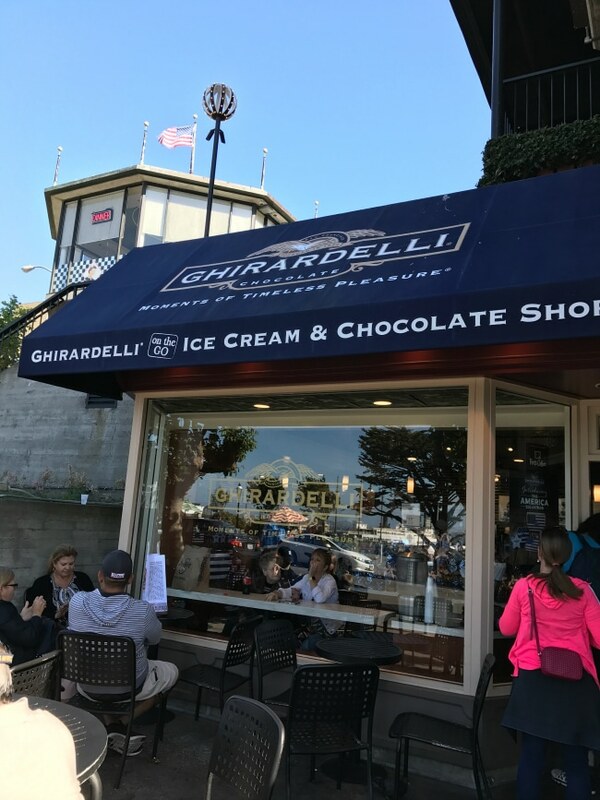 Be warned, it’s a long line and it’s pricey ($12 for a sundae), but it’s good! There’s a nice grassy, park like area across the street with a great view of the bay and the Golden Gate bridge that you can sit in to eat. We can’t tell you a ton about Muir Woods because we didn’t actually go into Muir Woods, but we can tell you what NOT to do if you want to visit this place. When you get there, there’s a parking lot to enter the park. It was full for us (we got there around 10 or 11 that morning.) There’s additional parking down the road. Also full. And then there’s parking along the road. We would have needed to park about a mile away and walk to the park entrance, which could be fine, we just didn’t have time that day. So, learn from us and our mistake-if you want to visit Muir Woods, go early in the day and plan enough time to park, walk in and have time to explore. It’s supposed to be a great alternative to visiting Redwoods Forest if you don’t have time to head clear up there. 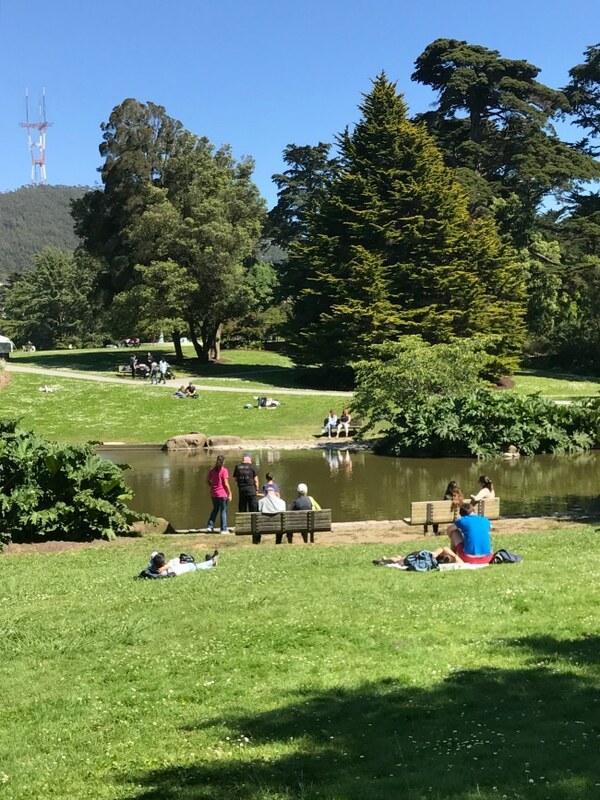 We only had a little bit of time to visit the botanical gardens in San Francisco’s Golden Gate Park, but it was gorgeous and we wished we could spend at least half a day there. 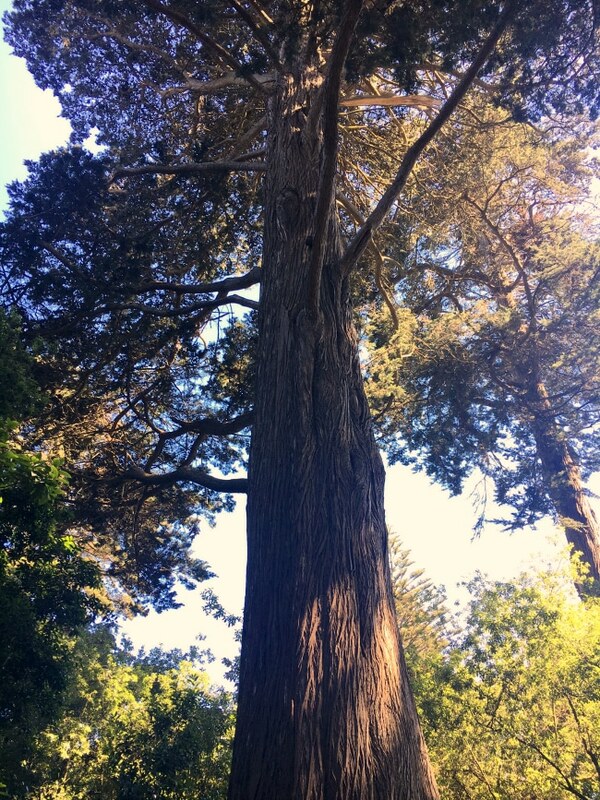 The whole park is a beautiful area with lots of green and walking paths. 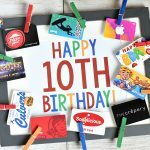 It would be perfect to pack a lunch and spend the day or at least half a day. 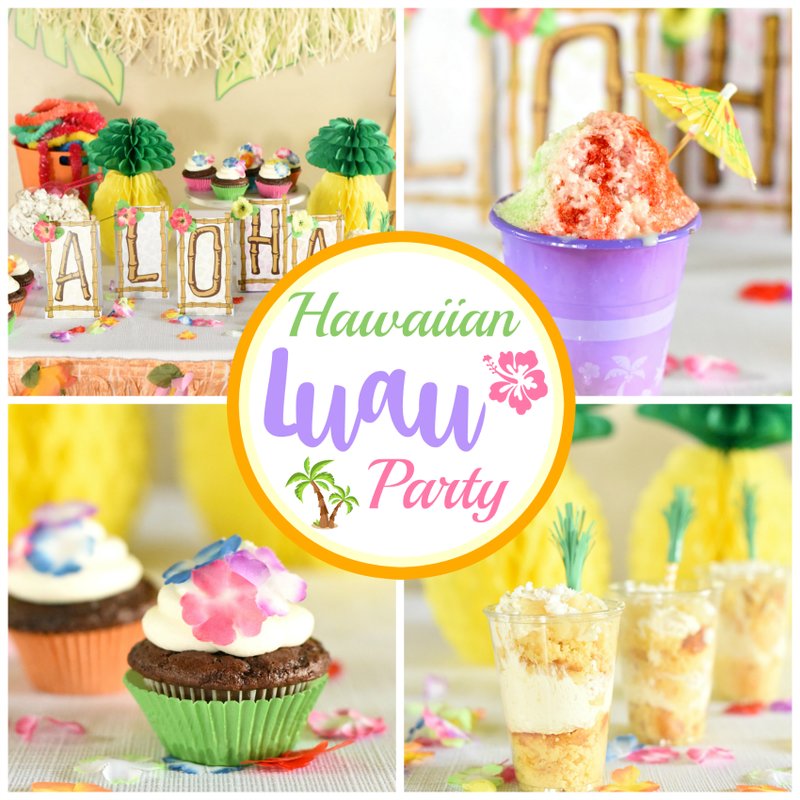 If you’re a gardner you are especially going to love this place! You can walk through the botanical gardens and learn all about all varieties of plants. Or, if you’re just wanting to enjoy a beautiful place, you can walk and enjoy or sit and relax. It was a nice break from the busy, crowded city life of San Francisco. 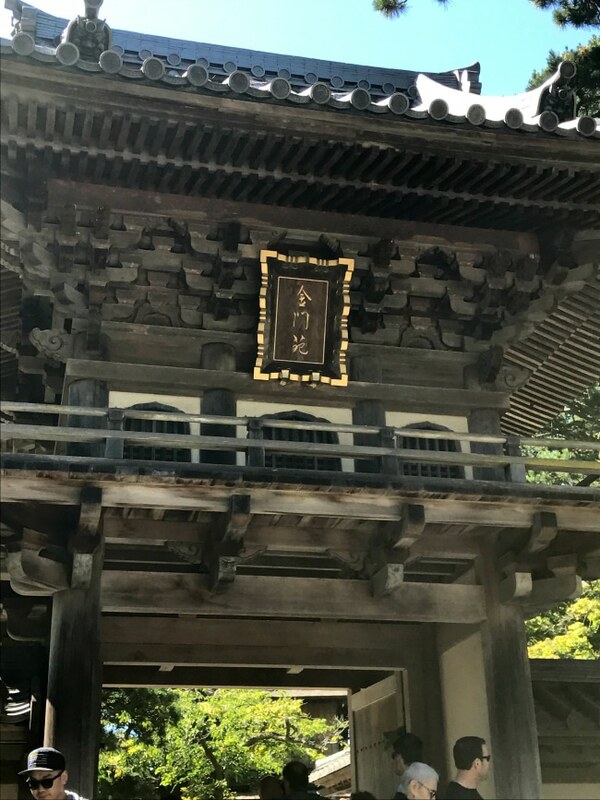 There are two botanical gardens you can visit-the traditional one or the Japanese gardens. You have to pay for either-about $8 a person. We got lucky and happened to hit it on a free day! Phew! Have we made you tired reading this? It was an exhausting couple of days but also so memorable and so much fun! If you’ve got tips of your own, leave them in the comments so that our readers can see them. And if you go, we want to hear about it too! Have FUN visiting San Francisco!